Home renovation projects aren’t cheap and they can add up quickly…especially with Pinterest adding to the wish list! But there are some fun upgrades that you can do without spending a lot of money or needing a lot of skill! Sometimes the smallest changes can have the biggest impact. When I bought my first house it took a while before it started to sink in that I could do nearly anything I wanted. I wasn’t even aware that you could just go to Home Depot and buy certain things! 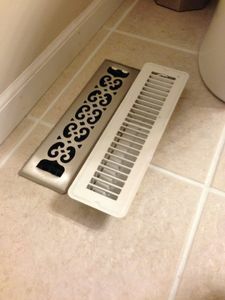 So imagine my excitement when I discovered that you can buy pretty heat register covers! 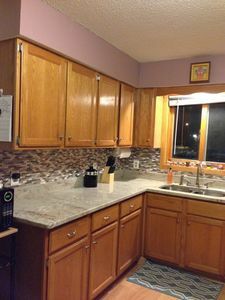 The ones that came with my house were gross and stained so I was thrilled to replace them with a fun color and style. These will run you anywhere from $10 to $20 each. Be sure to measure or bring a cover with you to make sure you get the right size. This is something so small but is one of my favorite updates in my home. It’s amazing what an impact these can make! Most houses come with traditional white or off-white covers on the outlets and light switches, but you can buy more detailed ones! This upgrade is so simple to do and can cost $3 to $7 per plate, depending on how fancy you go. I recommend doing one room at a time as your budget allows. I upgraded to new white plates, but my switches and outlets were off-white so I needed to swap those out too. Those were really affordable. You can buy a box out switches or outlets for as little as $10. I totally borrowed this idea from Pinterest: you can buy large wooden letters at a craft store for a few dollars and then paint them to add some fun to any room! 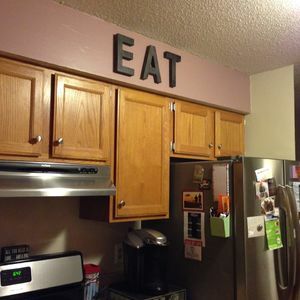 I used spray paint on mine and put “EAT” in the kitchen and “WASH” by my washer and dryer. The possibilities are endless…Play, Sleep, Dream, Drink, Read, and so on! I used 3M command strips to hang mine. It helps to use a level to make sure everything is lined up properly. To be honest, I hate painting, but it’s incredible what a splash of color can do for a house! A pop of color on the front door can add to the curb appeal, a fun color on the kitchen soffits can warm up the room, and an accent wall can add some visual appeal. For some reason having lights underneath my kitchen cabinets makes my kitchen feel so much more fancy! You don’t have to be a master electrician to tackle this project. You can buy some that plug in and hide the cord underneath the cabinets! This option is probably the most spendy depending on the size of your space, but you can add a backsplash to your kitchen or bathroom with Smart Tile. Smart Tile is adhesive backsplash. It comes in squares, just like glass, but it sticks on! 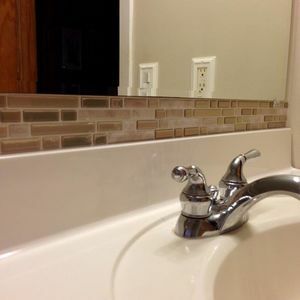 No cutting glass, as you can use scissors, and no grout necessary! Smart Tile is about $7 to $12 per square and can also be purchased in bigger multipacks. It’s really easy to do! It’s just like putting a puzzle together: you just measure, trim where necessary, and stick up on the wall! If you mess up, it can come right off! I’ve had mine for a few years now and it’s holding up well! My one piece of advice is to buy double what you think you’ll need and return what you don’t use. You lose inches when you trim to fit around outlets and you don’t want to be like me and have to run back to Home Depot twice! 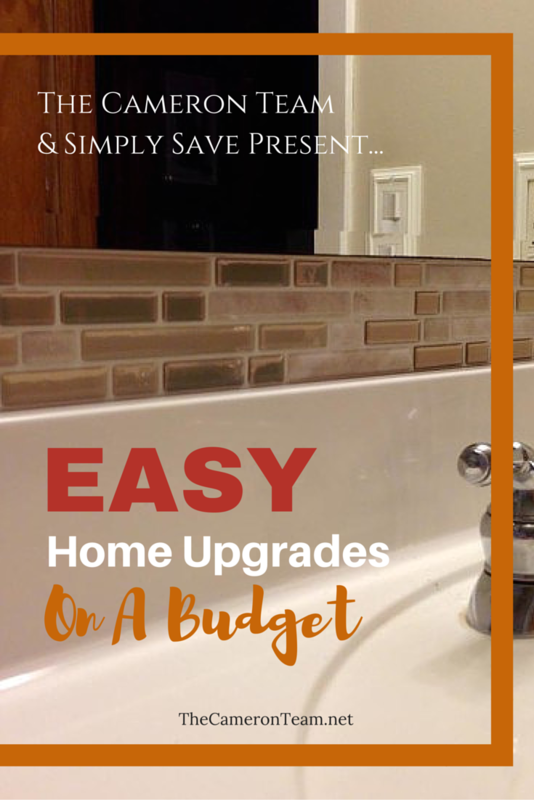 These are just a few ways that you can make simple and affordable upgrades to your home. It doesn’t take a lot of money or fancy things to add some elegance and style to your house! Sometimes the smallest updates have the largest impact! 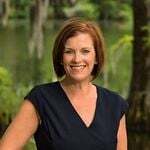 Heather is a personal finance blogger who strives to find the balance between planning for the future and enjoying the present. 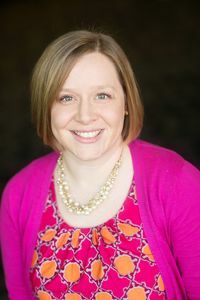 She shares her personal finance journey on Simply Save and also writes about saving money, simplifying life, minimalism, and living with intention.